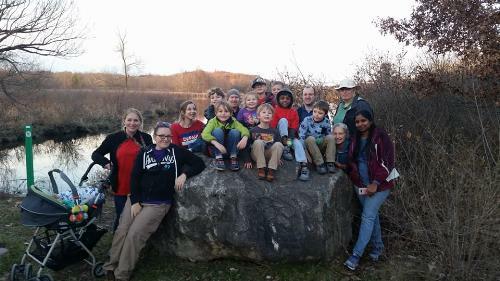 Cub Scout Pack 110 is located in Naperville, Illinois. We are a small pack that runs out of Longwood Elementary School, sponsored by River Glen Presbyterian Church , and we are part of Three Fires Council. Our hiking program was highlighted in the June 2006 Scouting magazine as one of the best in the country at the time. Our hiking program awards hiking sticks at 50 miles and continues awards scouts at 10 mile increments with feathers and bear claws. Approximately 50 miles of hikes are schedule each year. Our monthly Hikes include local Forest Preserves and an annual hike at the Starved Rock State Park.